Leading Manufacturer of glossy maroon kitchen, laminated high gloss kitchen and glossy maroon modular kitchen from Noida. 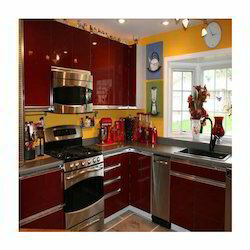 Our organization is recognized as the eminent entity indulged in providing a wide assortment of Glossy Maroon Kitchen. The offered glossy kitchen is designed as per the latest designs by our skilled workforce. 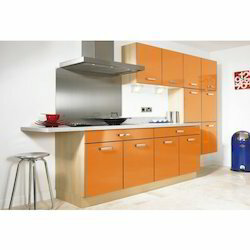 Our glossy kitchen is available in various designs and customizes options. The offered glossy kitchen is widely applauded among customers for its glossiness. We are a credible name to offer Laminated High Gloss Kitchen that is manufactured in accordance with the prevailing market trends. Known for its attractive design and perfect finish, the whole range of the kitchens offered by us has amassed words of intense praise among the clients we have. Moreover, the offered kitchen is widely considered for its durability. Enriched with a vast industry experience, we are capable of manufacturing and exporting supreme quality Glossy Maroon Modular Kitchen. Waterproof in its characteristics, it is widely acknowledged among our client-base spread around the globe. The range of hi-gloss maroon finish kitchens offered by us has fetched high demands for its perfect finish and alluring design. 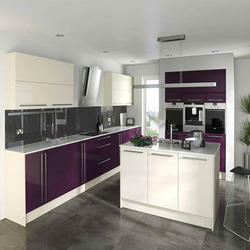 Looking for Laminted High Gloss Kitchen ?